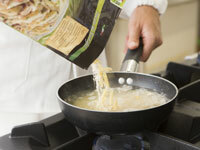 Storci and Liodry Foods have combined forces to create a winning partnership in the production of instant pasta. Liodry Foods has provided all its knowhow and professionalism, with its output that ranges from flavourings to dressings, dry sauces, flavour preparations and so many other products. 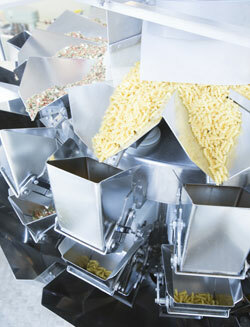 Storci, for its part, has provided all its expertise in the area of pasta production plants, creating its own instant pasta lines that are versatile, modern and customisable, thanks to its "turnkey solutions”. 1) We’d like to start by asking you about your company’s history and your products’ main characteristics? 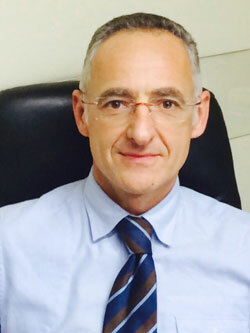 Liodry Foods is an Italian company that has always valued its regional culinary traditions, the expertise of its founders, and it has always invested in innovation. The conviction behind the choices we made, when we decided to launch Liodry Foods Srl in 1998, was that of bringing the passion for taste, the pleasure of eating well and the authenticity of ready meals to the dining table. 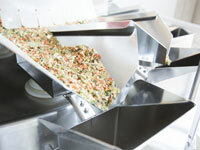 A production that includes flavourings, dressings, dry sauces, flavour preparations and so much more, makes us unique partners for the food industry and large-scale distribution in Italy, Europe and around the world. What sets us apart is our ability to offer a customised response to the needs of each individual customer. 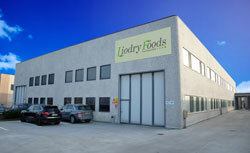 At the heart of Liodry Foods Srl is our R&D department. This is where we not only research and create the food preparations that best respond to the needs of the market for which they are intended, but it is also where we support their industrialisation and plan how to integrate them into the customer’s production cycle. To complete this offer, we provide wide-ranging expertise in choosing the best raw materials, ensuring their total traceability, in full compliance with the highest quality standards, because we believe that goodness and quality are one and the same. 2) Tell us where the idea of working with Storci came from, when it comes to the production of sauces within the instant pasta project? 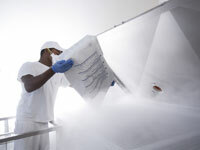 Liodry Foods has always believed that research means coming up with products that are capable of transforming every preparation into a creation with a unique flavour. With its innovative products of such a high qualitative value, the company has succeeded in keeping pace with the times and the new demands, satisfying growing nutritional needs and replacing the idea of “fast food” with “fast good”. In looking at Storci’s mission statement, Liodry Foods saw a desire for innovation, a yearning to look to the future and a longing to offer their expertise to partner companies. This persuaded us that working in partnership with them could result in both companies, that are so different but that have such a similar vision of the future, achieving great results. The desire to combine the expertise and share ideas was the key factor that paved the way to the creation of this partnership. “Technology at the service of the ingredients and the ingredients at the service of technology”. This is the slogan used to launch our joint initiative. 3) What are you hoping for from this partnership? And what could be the possible benefits to those customers who decide to produce instant pasta? Like us, Storci is a dynamic company that is always at the cutting edge, with its eye on the future. Both companies have a long-term vision of market trends, and we believe that this partnership will provide customers with an all-round service, with all the support they need in terms of innovation and R&D, both for plants and ingredients. It offers clients great possibilities of making the most of the huge opportunities of the “A tailor made product to a desired market”. 4) What are your major plans for the future? And those with Storci? Our plan and goal is that of coming up with increasingly more high-performing products, in terms of quality, health, nutritional benefits and a respect for nature and the wellbeing of individuals. We are currently working on a number of different projects for 2015/2016. These include organic, gluten-free, baby food products – with a particular focus on "superfoods" and on nutraceutics, all in harmony with compostable packaging, fully respecting the ecosystem. These are all projects that envisage a natural outlet in our working partnership with Storci.